When I was growing up, my idea of a library was what you might see in an old black and white movie: Sit down, be quiet, and for the sake of everyone around you, don’t ask any questions. Fortunately, my college library defied this notion, instead structuring itself in a manner that promotes collaborative learning. Upon entering the library for the first time I did not see mounds of books and people working quietly — although both of those scenarios played out on higher floors). Instead, I saw clusters of open tables with individuals mingling in small groups, speaking freely, and actively collaborating. 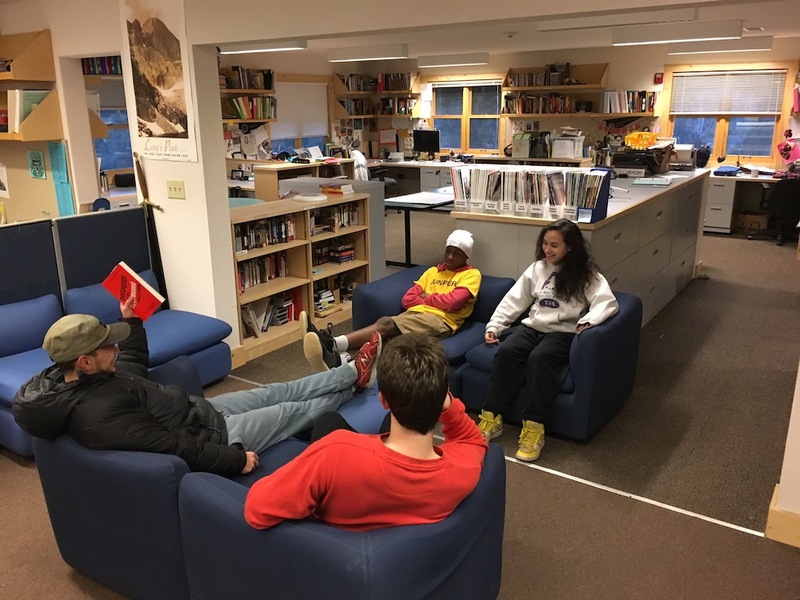 I later learned that the Academic Commons at Goddard Library at Clark University was constructed intentionally to encourage group learning and problem solving, and to facilitate effective communication and information exchange. These are just a few characteristics that are becoming increasingly more valued in today’s workplace. From my first day at Eagle Rock the idea that knowledge is a social construct, and should therefore be experienced through discussion, interaction and collaboration, was evident in every corner of the school. My office, for example, is not an individual office, and not quite a cubicle. It is a work area in a shared, open space environment, surrounded by my coworkers, numerous teaching resources, and books on everything from Native American spirituality to Harry Potter (I’m currently reading the 4th installment of that series). And in my view, it’s true. The culture and teaching practices at Eagle Rock School also fall into the category of transparency and fairness — with an added bonus of collaboration and professional development. Throughout the day you can see various individuals — ranging from visiting teachers to our director of curriculum to our instructional coach — strolling into classrooms to observe instructors. This practice is a prime example of the type of open, collaborative learning environment that Eagle Rock has adopted and encouraged for the last 20-plus years. These objectives often revolve around Eagle Rock’s professional development theme of the year. 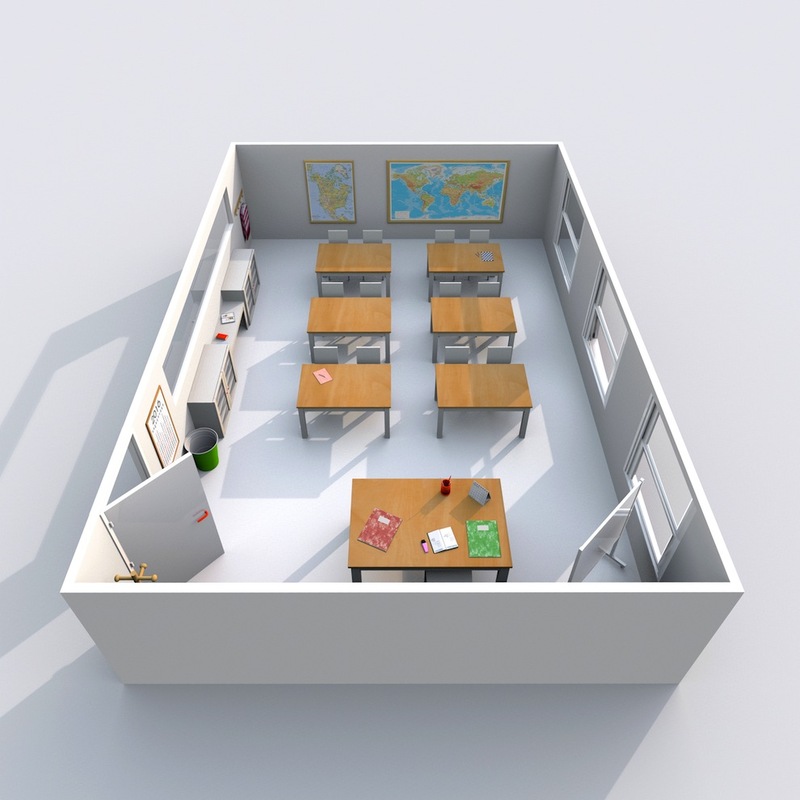 This academic year (2016/2017), for example, the theme is all about classroom culture. All of this is set up intentionally to allow instructors here to learn from experience and receive feedback. I have noticed that practices such as this one set a precedent for a goal-oriented, shared-learning environment propelled by realistic and sustainable growth. Many of the classes I have observed here at Eagle Rock are collaborative in nature, with students working in groups to offer solutions that solve real world issues, and utilizing self and peer feedback to instigate growth. What I have found to be particularly unique (and awesome) is this: Open learning at Eagle Rock School doesn’t just happen in the classroom. Take for example our Riverwatch class. A nearby river serves as the classroom several times a week, and each Wednesday the whole community comes together for a day of intramurals, where we use sport for development as an educational technique. If you’re nearby and would like to learn more about Open Learning Environments, don’t be shy… be progressive by arranging a campus visit. Most of our scheduled tours occur on the first Saturday of the month at 2 p.m. And as you might imagine, all visits must be arranged in advance by calling (970) 586-0600. Or use our Contact form to inquire about campus tours. About the Author: Aaron Segura is the 2016/2017 Public Allies Fellow in Curriculum at Eagle Rock School and Professional Development Center in Estes Park, Colo. There, Aaron works with teachers in developing creative, interactive learning experiences, and with students to facilitate innovative extracurricular opportunities. Aaron grew up in rural Ohio before attending Clark University in Worcester, Mass., where he received a bachelor’s degree in Political Science and Government. Prior to Public Allies at Eagle Rock, Aaron worked as a dorm parent and coach at Oliverian School in Haverhill, N.H. This entry was posted in Eagle Rock School Classroom, Reflections and tagged Aaron Segura, Clark University, Cornell Center for Teaching Excellence, Goddard Library, Michael Bloomberg, Open Air Learning Environments, Riverwatch Class.